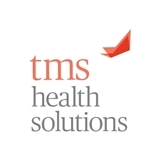 TMS Health Solutions (San Francisco) - Book Appointment Online! TMS Health Solutions specializes in the delivery of TMS therapy for patients suffering from treatment-resistant depression; additionally, the clinics provide traditional treatment for mood disorders. TMS Health Solutions is led by Dr Richard Bermudes, former President and current board member of the Clinical TMS Society, and Dr Karl Lanocha, two of the nation's leading experts on using TMS therapy as a treatment for depression. First time ever visiting a psychiatrist and didn’t really know what to expect. The office was very welcoming with all staff friendly and willing to help. Dr. Lida does a great job listening and basing her solutions on what I described experiencing and what I wanted in the end rather than pushing anything on me.